New Jersey has been experimenting an extraordinary economic period the past couple of years with both employment and wages climbing. With this positive employment growth, human resources professionals should also see some good job growth. As New Jersey industries continue to grow and hire people, they’ll also be in the market for qualified human resources professionals to help recruit and hire new employees. Human resources specialists assist HR managers and do a lot of the same duties. In organizations that have both an HR manager and HR specialist on staff, the HR specialist may perform these duties. In 2017, the U.S. Bureau of Labor Statistics (BLS) reported that New Jersey was the top-paying state in the nation for human resource managers, bringing in an average annual salary of $162,540. This amount is substantially higher than the national average of $123,510. The BLS also reported that the New York-New Jersey metropolitan division has the highest number of both Human Resources Managers and Specialists hired as of May 2017. Human Resources specialists in New Jersey earned an average annual wage of $74,390, which was higher than the national average of $66,220. To work as a human resources manager requires a degree and experience. Some HR managers are hired with just a bachelor’s degree in human resources, business management, finance or education, Many other companies may require a master’s degree in human resources, business administration or labor relations. HR managers must be familiar and proficient with human resources software and also have knowledge of compensation and benefit plans; state, local and federal tax laws; OSHA requirements and employment laws. Human resources managers must also have several years of experience working in an HR department or a similar environment. They should possess good leadership, organizational and decision-making skills. Candidates often start off as labor relations specialists or human resources specialists, obtain work experience and advance to the position of HR manager. Human resources specialists are generally hired with a bachelor’s degree but may be hired with an associate’s degree if they have relevant work experience. For instance, the position of human resources generalist requires the degree and work experience. Relevant experience may be obtained by working in customer service or human resources assistant positions. Certification is generally not required as a condition of employment, but some employers may prefer to hire certified individuals. Some employers may require their HR managers to be certified. At the very least, certification can demonstrate knowledge, expertise and a commitment to the profession. Certification can be obtained through these organizations. Human resources managers in New Jersey are expected to experience a job growth of 8.2% between 2016 and 2026 while human resources specialists should see a growth of 7.3% as reported by the bureau. This should result in about 320 new HR manager jobs and 1,250 HR specialists’ jobs by the year 2026. As of May 2017, there were 3,940 HR managers, 17,010 HR specialists and 5,460 HR assistants employed in the state of New Jersey. Working in an HR department may involve more than just being an HR professional and performing many of the same tasks we think of when we think about human resources employees. Depending on the company and the company’s needs, the HR positions may be very specialized. Here are some of the positions offered by some of New Jersey’s top employers. Generally, the larger the company the more HR employees there will be employed. 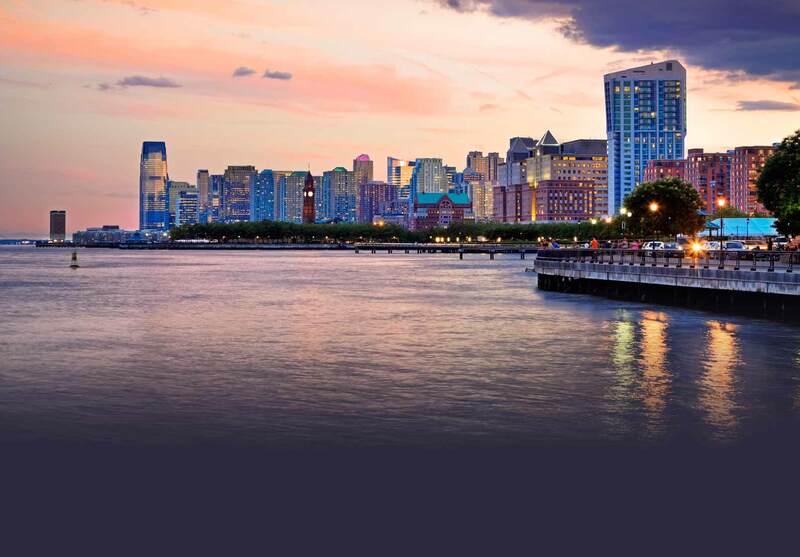 Despite it being a small state, New Jersey is home to many large companies offering career opportunities to HR professionals. Here are the top ten largest companies in New Jersey along with the number of employees. Human resources professionals can find many helpful resources through various HR associations and organizations throughout New Jersey. Joining these associations allows them to network with other HR professionals, learn of job postings and what’s currently trending in the HR industry.